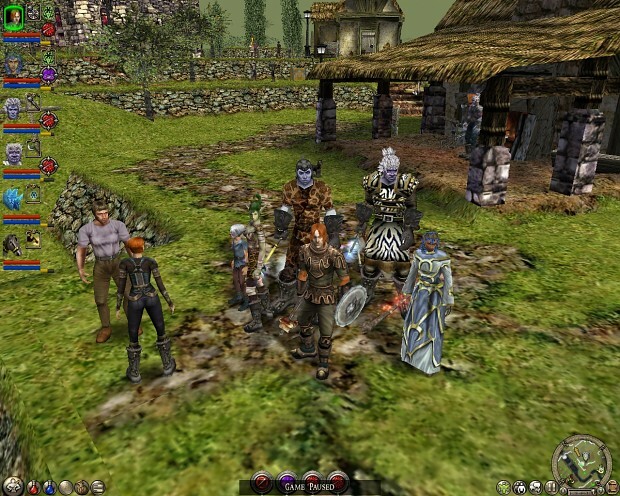 Expanded World: Kingdom of Ehb, Utraean Peninsula and Yesterhaven are playable from Dungeon Siege and Legends of Aranna is playable if the user has that expansion pack installed. Adds 50 or 60 hours play time to Dungeon Siege 2 or Broken World. 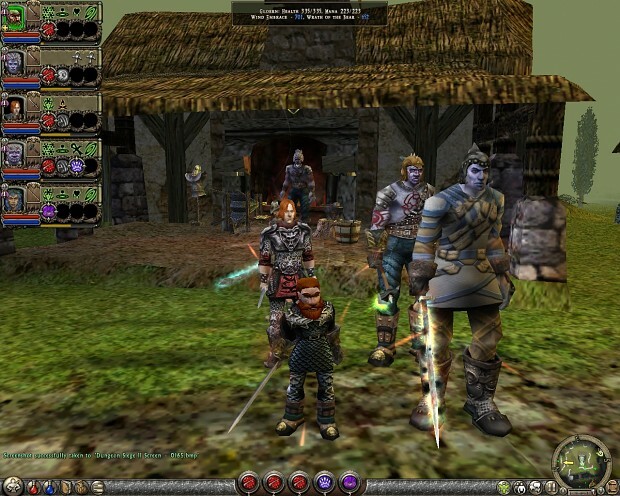 Original Features: Most quests, monsters and npcs are present from the original maps and many weapons, armour and items from Dungeon Siege are also available in Dungeon Siege 2 or Broken World. Continuity from Dungeon Siege: For the first time play through all the maps with the same party. You can begin in the Kingdom of Ehb as a lowly farmer and end up at the end of Dungeon Siege or Broken World as a Legendary Hero who shaped the future of the world with their own hands. Enhanced Features: Dungeon Siege 2 features such as skilltrees, powers, quest/shop icons, minimap, banters, dialogs, expanded pets, reagents, expanded logbook and so much more are available in the original maps. In addition the multiplayer only Utraean Peninsula map is now playable in singleplayer with 7 recruitable characters to recruit to assist the hero. Extensive compatibility with other mods: Dungeon Siege Legendary Pack has extensive compatibility with the large library of fan made modifications already available for Dungeon Siege 2. Dungeon Siege 2 Legendary Mod Beta30 released! After 3 years in development the mod is nearing the end of the beta phase with the release of Beta 30, the most complete and polished version yet. There have been numerous major and minor fixes addressed in this version to quests, textures, map features, items, conversations, balance, etc. Probably well over one hundred individual fixes thanks to the dedicated team of beta testers who test the maps and provide invaluable feedback. There are two new maps to play with a couple of hours gameplay each - Return to Arhok and Diabloish. Plus there's better support for converting other user made Dungeon Siege maps to Dungeon Siege 2. Over 180 extra Dungeon Siege armors and weapons have been converted for use in Dungeon Siege 2 and Broken World. This includes 25 special unique items like Merik's Staff, Starlight Vesture, Lord Hovart's Blood Armor and the Staff of Stars which level with the player. There's now voice pack support for Baldur Gate type party vocal acknowledgements to orders and spotting monsters built into the mod for the forthcoming Voice Packs for Dungeon Siege 2 and Legendary Mod to be released soon. Textures for terrain and objects have been redone from scratch with even better bloom and enhanced detail filtering effects. New monsters have been added to an expanded Pit of Despair and other like the Doppelgangers, Whelnar's Eyes, Zepherylls and Swirling Midges have been restores whilst monsters like Gobbots and Drocs now act more like the originals. Some monsters and bosses now have passive skills like the player with skills like Ignite and Smite. Recruitable dwarves now use the Broken World model for dual wielding and throwing weapon support which the preceding model didn't support. It is important to note that the mod requires that the original Dungeon Siege and/or Legends of Aranna is installed prior to setup as original assets and maps have to be converted in order for them to be playable in Dungeon Siege 2 or Broken World. About 1.07 GB of free HDD space will be required to install all 6 maps in you own Dungeon Siege: Legends of Aranna, 855 Mb if you only have the original Dungeon Siege. Since the mod has been significantly updated since the last public release, it is important to reinstall it and the installer will attempt to remove all previous Beta 13 or 14 files during installation. Please note that if you have downloaded any beta files from the mod's website, these will need to be removed manually for the mod to function properly. Owners of the Steam versions of Dungeon Siege 1 and 2 should apply the appropriate Steam Registry Fix included in the zip unless they have already patched it previously. Otherwise the installer won't be able to find the games in order to install the mod. Other than that, installation is an easy matter of just unzipping the installer and running it, confirming dialog choices and the EULA. Dungeon Siege Legendary Pack Released! Dungeon Siege Legendary Pack, a mod converting the original Dungeon Siege to the Dungeon Siege 2 engine, has been released on Mod DB. Full complete version of the DS2 Legendary Mod, a remaster of the original Dungeon Siege as a mod for Dungeon Siege 2 and Broken World expansions. Dungeon Siege Legendary Mod has been updated to Beta 14! I've posted anonymously here before about the following issue, but didn't get any feedback. Is this site/forum still active? Perhaps with a proper login I might get some helpful suggestions. In the Utraean Peninsula map, I can't get the Elddim townstone in the crypts. As I enter the area, I see the glow of the sarcophagus, but as soon as I enter the room, the glow goes away and clicking on the sarcophagus does nothing. This is a fresh install on Win10 Pro of DS1 and DS2 (updated to 2.2), both from legal retail discs. DS1 runs in full screen, DS2 runs in windowed mode (1920 x 1080), with no mods installed. Also, the All*Saves v1 doesn't work. It says "Cannot apply the All*Saves fix". I should also add that I have these same two issues on another machine, this one running Win7 Pro. I'm really enjoying Legendary and I'd love to continue, so if you have any suggestions I'd love to hear them. Thanks in advance! I would like to inquire abour Return to Arhok and some issues i ran into with the latest version. I could complete the Main questline without any issue, but on Secondary Quests i got stuck a bit. I managed to complete the "Ice storage cave", and "Labyrinth of Despair" and "The South Gate" without issue, but i am stuck with "Evil beings in Arhok" on the first stage (Nothing seems to trigger completition yet), "The Guard Captain" on the second stage (After finding her in the cellar she went back in town and when i reported her my success with Rowan and Raks she relocated to the Mage Guild. No further dialogue.). Also the first secondary quest on the tab is still empty, just as the 7th, 8th and 9th. I've started a Twitch stream with this mod. I greatly appreciate the work you've done and will be sure to tell people about this mod. Is there any way to move with your arrow keys in D.S ? It seems to be a case of mouse-clicking somewhere everytime you want to move. You have keep trying to adjust the camera so you don't end up running off in odd directions. iirc there is a mod that allows further zooming out, perhaps that helps. Thanks ,didn't know about that.